Pre-sale on now for ‘Q&A With Dean Martin’ & vinyl reissue. The pre-sale has now begun for Q & A With Dean Martin on coloured double 12″ vinyl. 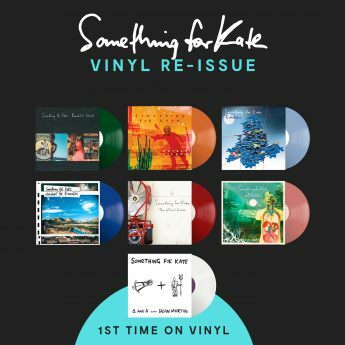 Released for the first time ever, along with a reissue of all 6 Something For Kate albums on colored vinyl, these items are available from a selection of retailers and are available to purchase internationally. Pre-order to secure your copy for a 31st August ship date. GOOD NEWS… NEW VINYL PRICES. We appreciate all the feedback over the past week since the announcement of the vinyl reissues. We hope that you can appreciate that we do not have control over many aspects of this issue. We were advised that as the pressing run was so small, this increased the production cost. Also, the coloured vinyl is a factor. 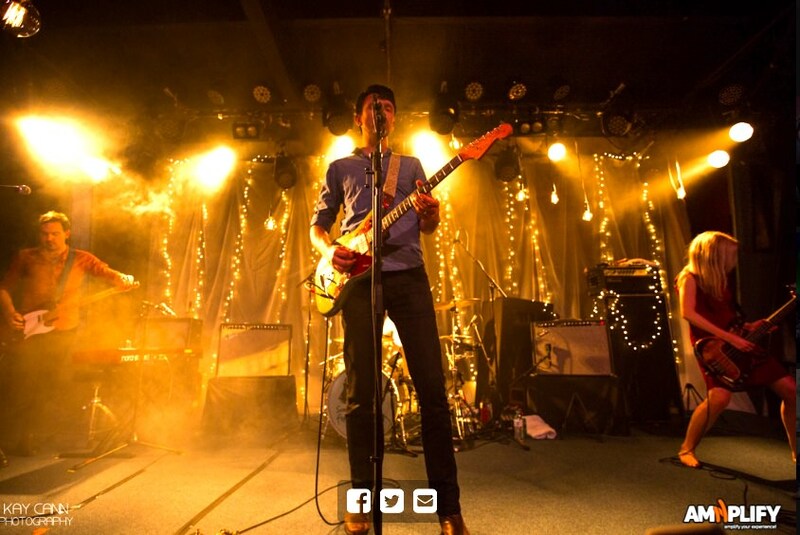 This is not just one album, but six albums going into production. We also have no control over retailers’ final prices. In some cases the advertised prices were just listed in error. The good news is that we have spent the past week working with the good folks at Sony Music and EMI to achieve a better result and in a nutshell, they have increased the quantities of the pressing run for each album which brings overall costs down and is now reflected in the final, much lower retail price. Something for Kate have always done our best to keep our ticket and merch prices down, much of the motivation for reissuing these albums was to make them all available again so that people had a better option than the over inflated prices on eBay. We are excited to have these albums out on vinyl again and we appreciate your patience. ‘Q & A With Dean Martin’ & SFK back catalogue to be re-released on vinyl. On this Record Store Day, we are most excited to announce that for the first time ever, ‘Q & A With Dean Martin’ IS TO BE RELEASED ON VINYL. PLUS THE ENTIRE SFK BACK CATALOGUE TO BE RE-RELEASED ON VINYL. 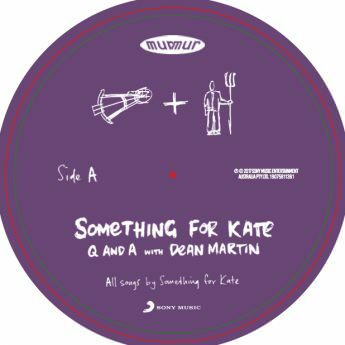 In 1996, Something For Kate‘s 1st two EP’s, The Answer to Both Your Questions & Dean Martin sold out of all pressings & were subsequently combined to form the CD album, Q & A With Dean Martin which was re-released on CD only in 2000. 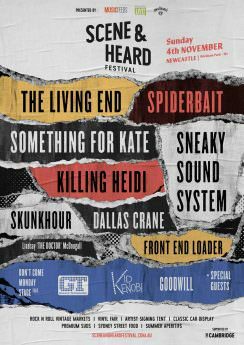 This is now going be available on double 12″ vinyl along with a third pressing of the band’s entire back catalogue of albums. Stay tuned for release dates & details. 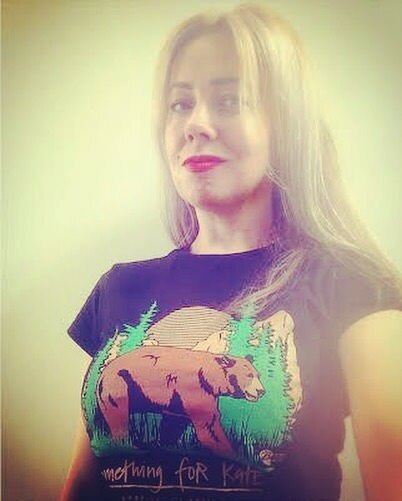 Spring Tour 2017 Merchandise now available on the store – until Dec 19! 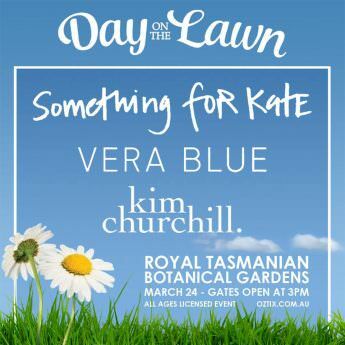 Tour tees, limited tea towels & posters are now up on the Something For Kate webstore! Get your orders in for Xmas as the store will be closed for stocktake from Dec 19! 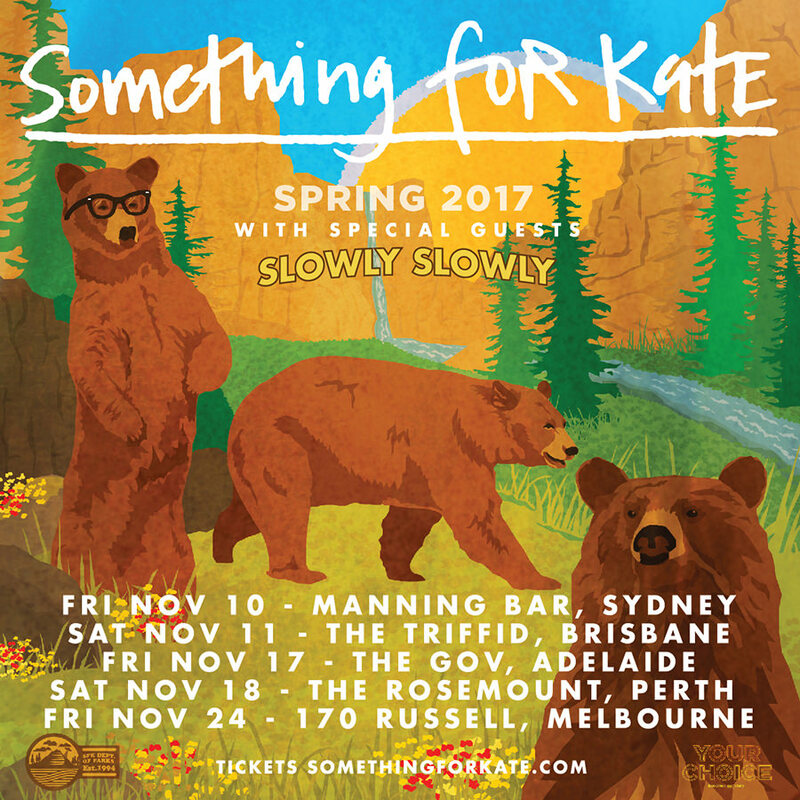 Something for Kate would like to thank everyone who came along to the Spring Tour 2017! 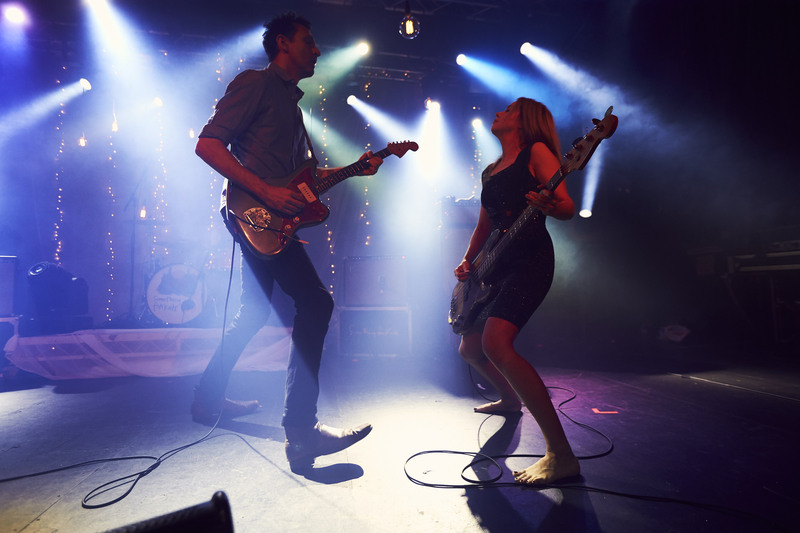 As the band’s first Australian club tour in 4 years and the anniversary of the release of debut album in 1997, Elsewhere for 8 Minutes, the tour had a heavy emphasis on this album along with a good selection of their vast back catalogue. Set list to be posted soon. 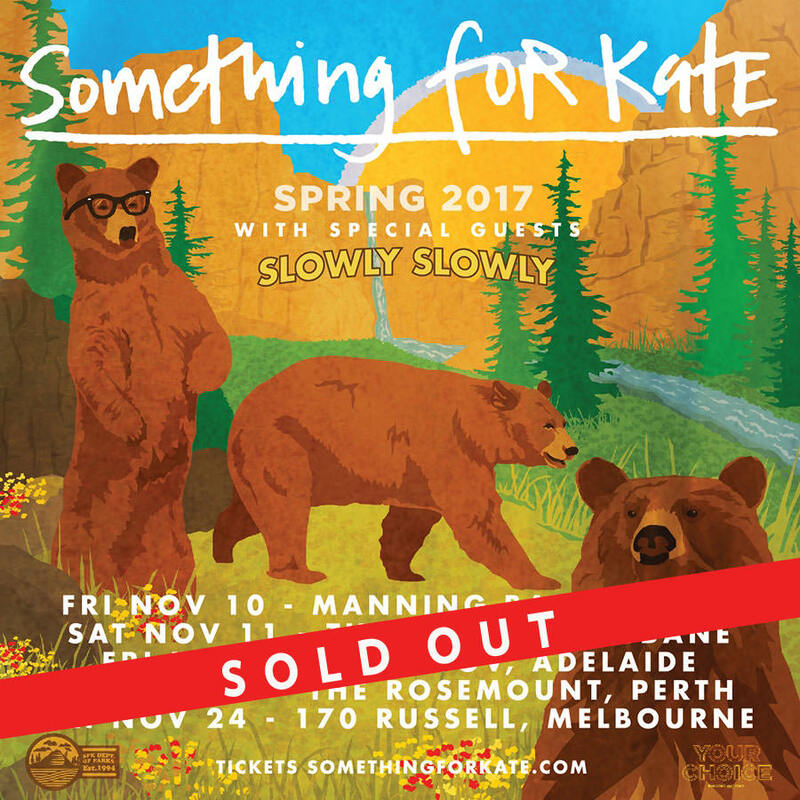 Something for Kate’s Spring 2017 concludes this week All shows on this tour are sold out. Playing times are as follows. Please note that these are approximate and are subject to change.